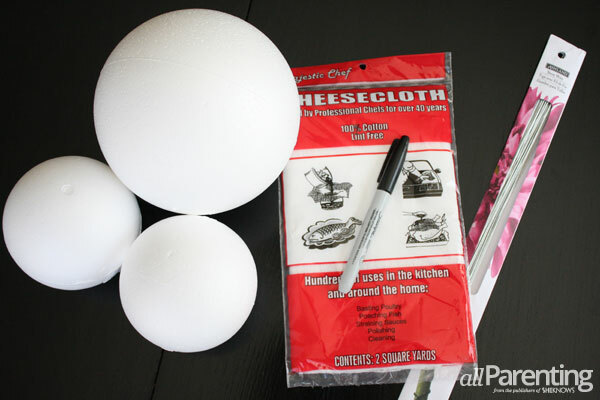 Using Styrofoam balls and cheese cloth, these ghosts are the perfect addition to your Halloween decorating! 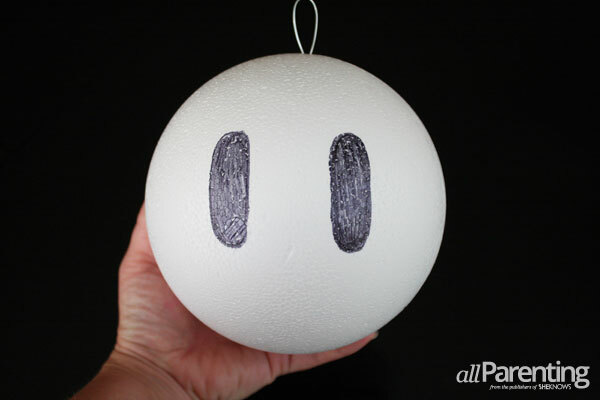 With Halloween on the horizon, these Styrofoam ghosts add just enough spookiness to your home. 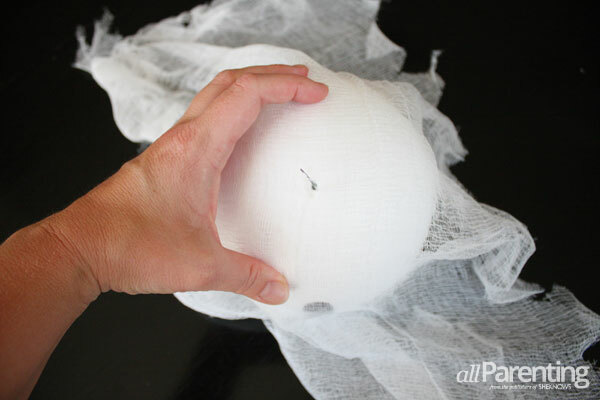 Cheese cloth, wire and Styrofoam rounds allow you to create these ghostly apparitions inexpensively and easily. 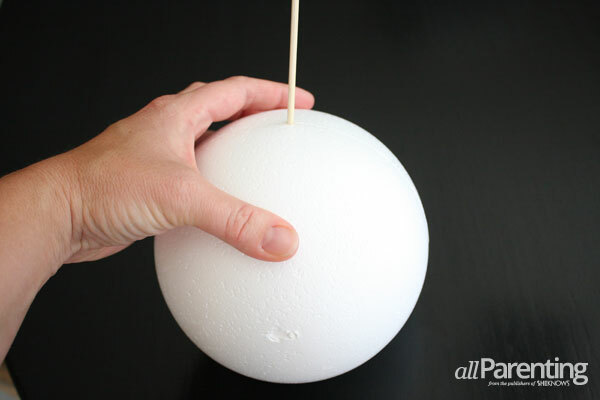 Push the bamboo skewer through the ball from one end to the other. This will be where you will thread your wire through. 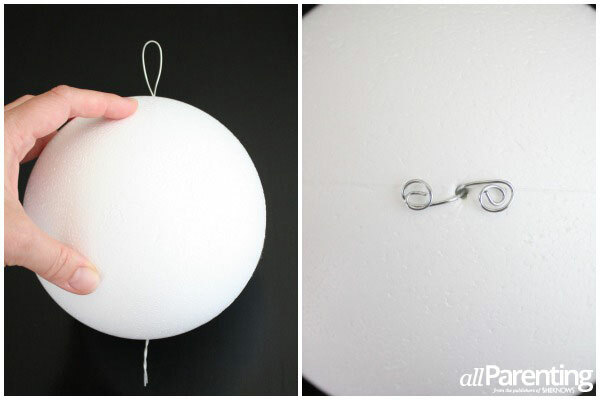 Taking a single piece of wire, gently bend it in half, forming a narrow U-shape at the bottom. This will serve as your hook at the top of your ghost. 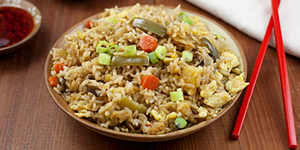 Twist the straight ends together approximately one inch past the U-shape. Continue twisting the wires together until they form a single wire. Now push the wire through the tunnel. 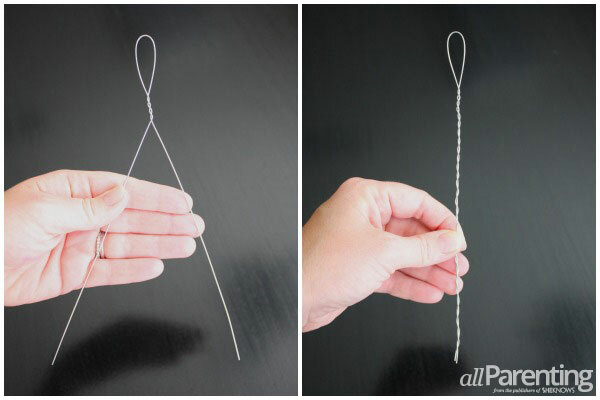 When the straight end sticks out of the bottom, gently untwist the ends and separate them. 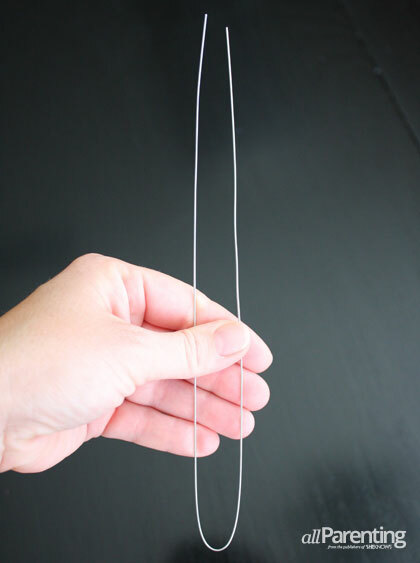 Using your needle nose pliers, bend each wire into a loop, securing them to the bottom of the ball. Using the permanent marker, draw on two large ovals, filling them completely to form the eyes. Set aside. Unfold the cheese cloth, so that it is double layered. Cut two feet of double-layered cloth. 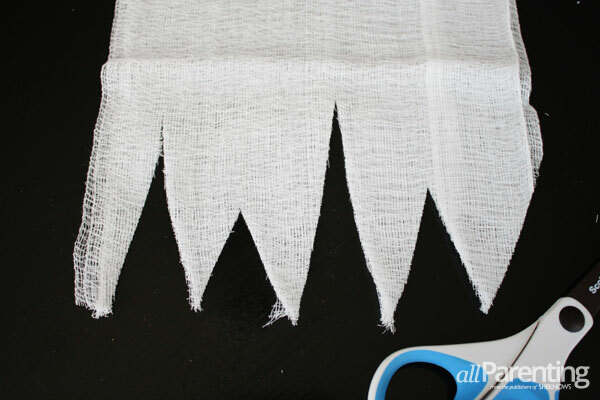 Begin by cutting triangles of varying sizes along the edges of the cloth so that all four sides are cut. With your cloth now cut, find the center of the cloth and push the hook-end of your ghost through it. Separate the layers so that they lay over the ghost perpendicular to each other. 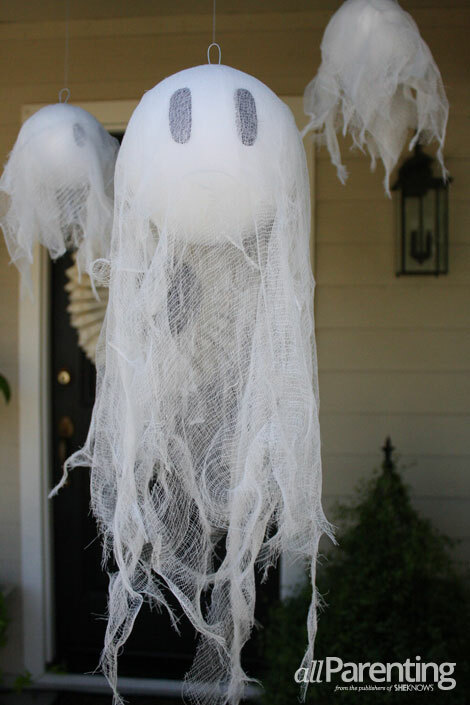 Your ghostly apparition is ready for hanging. A friendly spook for the Halloween holiday!